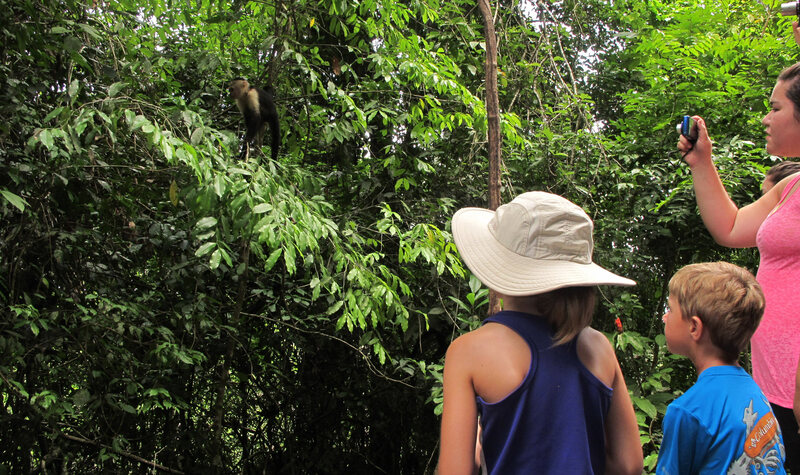 Explore local rainforests, Arenal Volcano, and Manuel Antonio’s tropical beaches on our action-packed Costa Rica Biking Adventure, designed for families with children 12-years and up. Discover the fun-loving native culture of rural Costa Rica, as family-friendly local guides share their skills and passion with you. Taste traditional dishes prepared with local host families, learn to milk a cow, harvest tropical fruits, and mill sugarcane to savor its sweet juice. 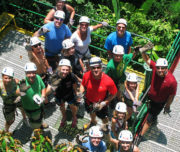 Explore the rainforest while rappelling down waterfalls, walking on hanging bridges, and riding a sky tram. 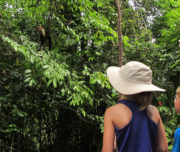 Kayak and swim in shimmering turquoise waters along the stunning shores of Manuel Antonio, and let travel in Costa Rica bring out the “Pura Vida” in you, a local saying that literally means “pure life.” Join other families on this Costa Rican journey or ask about designing your own family adventure to Costa Rica. 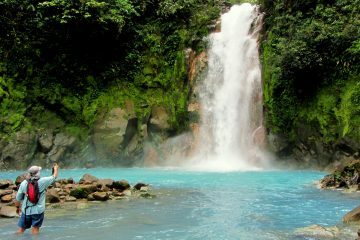 · Costa Rica Biking Adventure itinerary. · Visit the city of the witches, enjoy masquerade Workshop. · Take a train ride to the historic city of Cartago. · Visit an eco-farm for an organic lunch. 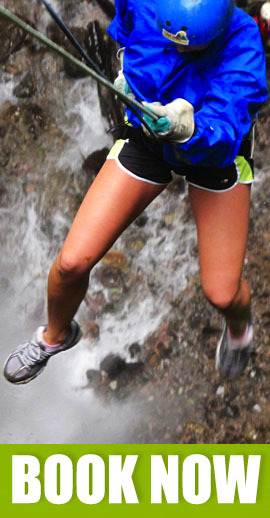 · Meet the challenges of our white water rivers while rafting, and discover wonderful places while riding your bike. · Enjoy at least 2 biking tours through beautiful routes selected especially for you. 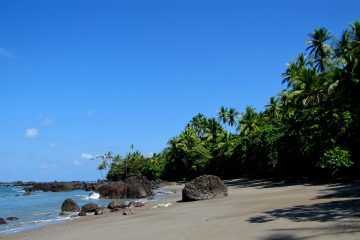 · 2-night accommodation in Arenal or similar. 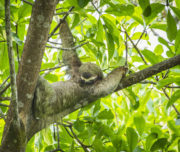 · 3-night accommodation in Manuel Antonio or similar. · Meals and activities as per itinerary (B=breakfast, L=lunch, D=dinner). · Private Air-conditioned transportation. Mini-Van or similar. · A minimum of 3 people per booking is required. Fly into San Jose where one of our representatives will meet you at the airport and show you to your private transfer to your hotel. After breakfast your guide will pick you up in the lobby from the hotel and transfer to San José area. Next you’ll take a quick 10-minute hike up into the hills of San Jose and arrive at the Atlantic Railroad, where you’ll hop on a train to head to Cartago. You’ll hop on your bike in Cartago and cruise through the streets of this beautiful town, learning all about its history along the way. After getting your fix of all that Costa Rican history, your Cartago tour will finish up at the Central Market, where you can sample the local life through foods and flavors. After walking through the Central Market, we head to one of the oldest cities in Costa Rica, Escazu, we’ll pay a visit to a legendary local master’s house, where three generations of the same family have been making some of the country’s most beautiful masks for celebrations and special holidays. Here we’ll be privy to his creative genius, and he’ll let us in on the family’s secrets for making Costa Rica’s most famous masks. We’ll be spending the rest of the evening with a cooking classes in the town of Escazu well know as the witch town. 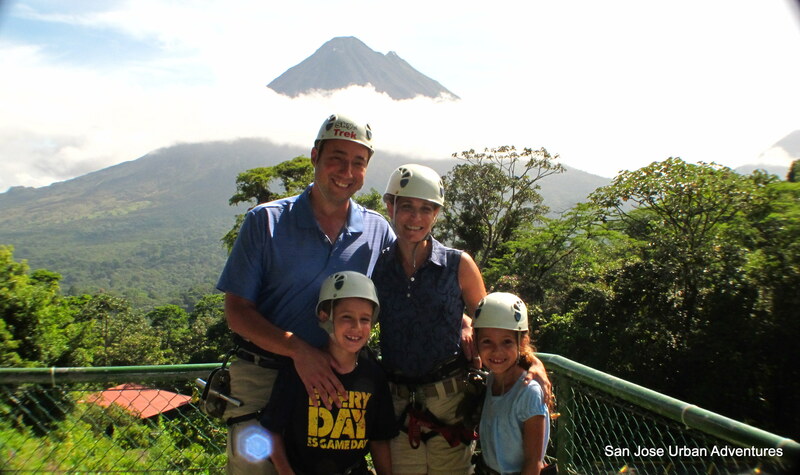 After breakfast your guide will pick you up in the lobby from the hotel and transfer to Arenal area. 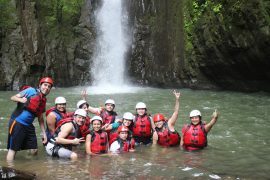 Go white water rafting on this adventure as you are transferred from San Jose to Arenal. 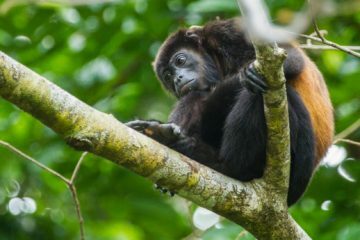 This full-day tour will allow you to see wildlife and gorgeous vegetation while you raft down the refreshing rapids of Balsa River and are then we will drive you up closer to the volcano to relax and enjoy the local hot springs. Savor an early morning cup of Costa Rican coffee and a hearty breakfast before picked up in the lobby of your hotel. 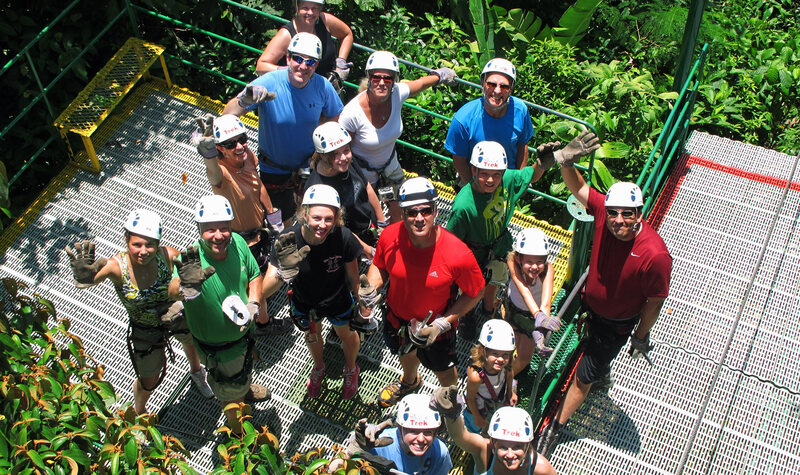 This adventure is the perfect way to get up close and personal with the interesting scenery and the breathtaking views that Arenal has to offer! Get lifted high onto a mountain by an open-air gondola to an observation platform where you will witness breathtaking views of the cloud forest! Then we are visit for lunch Don Juan Eco Farm, a local farmer who loves to teach visitors about tropical farming, native and introduced plants, including their medicinal uses. He is especially proud of his bio-digester methane gas production system that uses cow manure as a fuel source to produce methane gas for cooking! We’ll have fun with a tortilla making challenge while lunch is prepared by Don Juan’s wife, Yamileth, using our freshly picked produce. Back to your hotel. 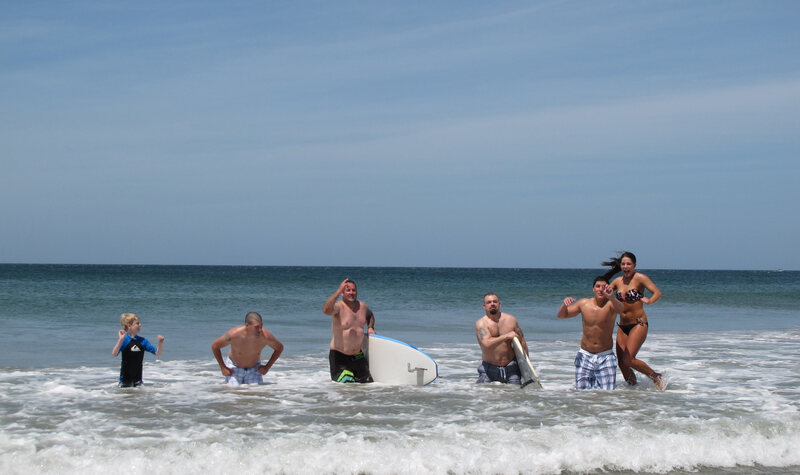 Let’s pack up our belongings and head to the beach! In route we stop to view the huge American Crocodiles basking in the sun at the Tarcoles River bridge… After lunch head straight for the calm bays, where you and your family venture out in stable eight-person outrigger kayaks, which have been used for centuries for exploration and ocean transport. Glide beneath sea cliffs filled with pelicans and frigate birds and over clear tropical waters, then haul out onto a secluded beach for swimming and snorkeling after your paddle. For those interested in paddling independently, single kayaks, double kayaks, and stand up paddle boards are also available for use (please request in advance). 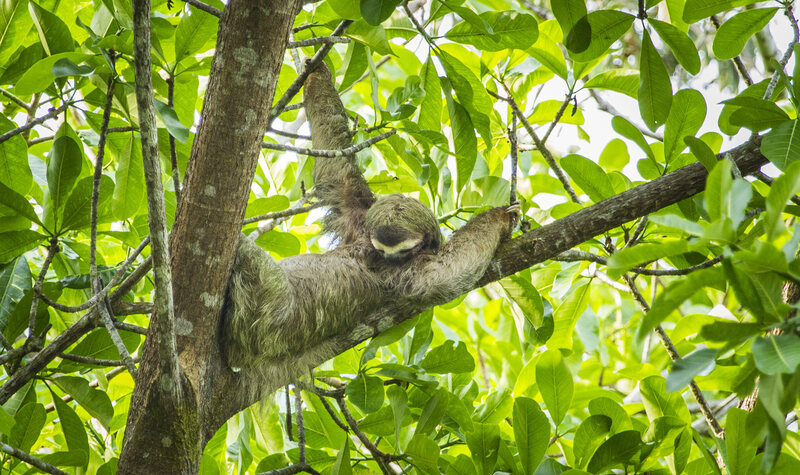 Arrive at your family-friendly hotel in Manuel Antonio in the late afternoon and spend time exploring the area or relaxing. Arrive late afternoon at Manuel Antonio, perfect for the sunset. Spend the rest of the day at the beach inside the park, known as one of the most beautiful in the country. 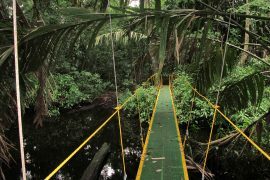 After enjoying fresh fruits and coffee, we start our adventure to bike in the Private Reserve in the middle of the jungle, starting on an old farm road then passing many creeks and waterfalls inside untouched rainforests. Along this road we have amazing views of this pristine area with great opportunities for wildlife and bird observation. Come lunchtime. All our meals are healthy, locally-sourced whenever possible, and sure to delight your entire family after an active and adventurous day! Relish a cup of Costa Rican coffee before you charter flight to the International Airport approximately two hours before your scheduled international flight.